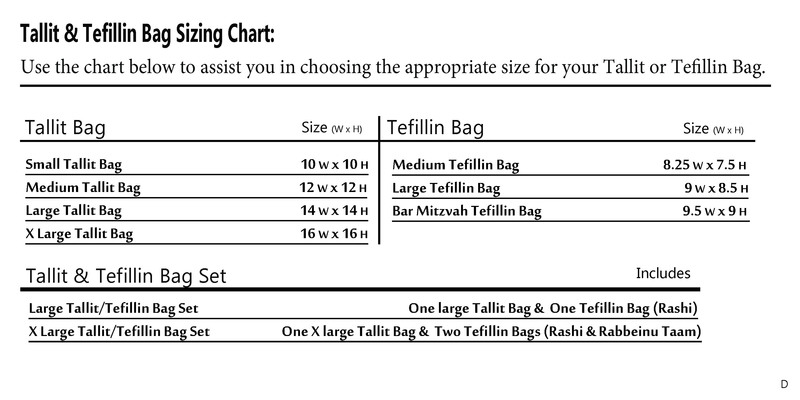 This velvet tallis/tefillin bag is artfully designed. It features two branches arching upwards, both laden with a blend of artistically embroidered leaves and flowers embroidered in colorful thread. 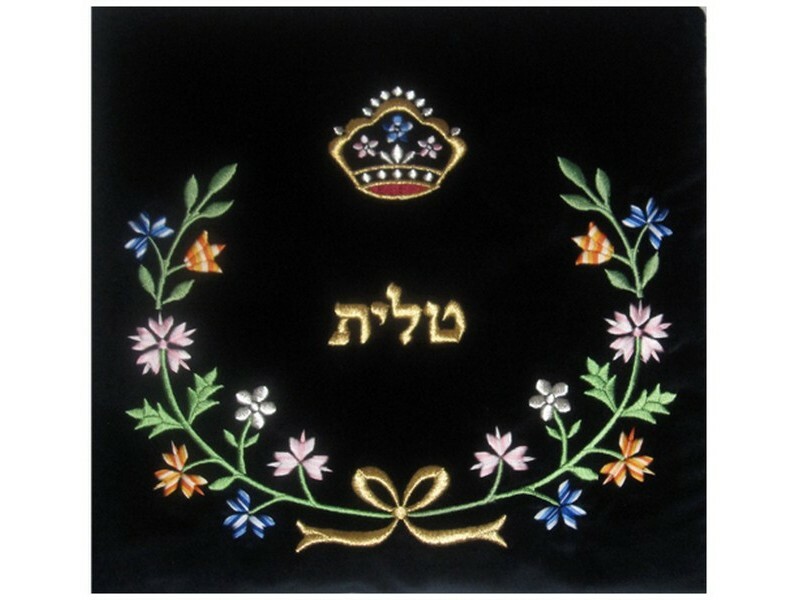 The Hebrew word “tallit” or “tefillin”, depending what size/style is selected, is embroidered in the center with a colorful crown on the top. This bag has the option of adding custom embroidery with Hebrew or English characters on the top of the design. An optional clear plastic slip-on protective bag is available for this bag.